The Easyleaver Bed Grab Rail provides support when getting into and out of bed. It is designed for use on divan style beds and is suitable for use on single, double or kingsize. 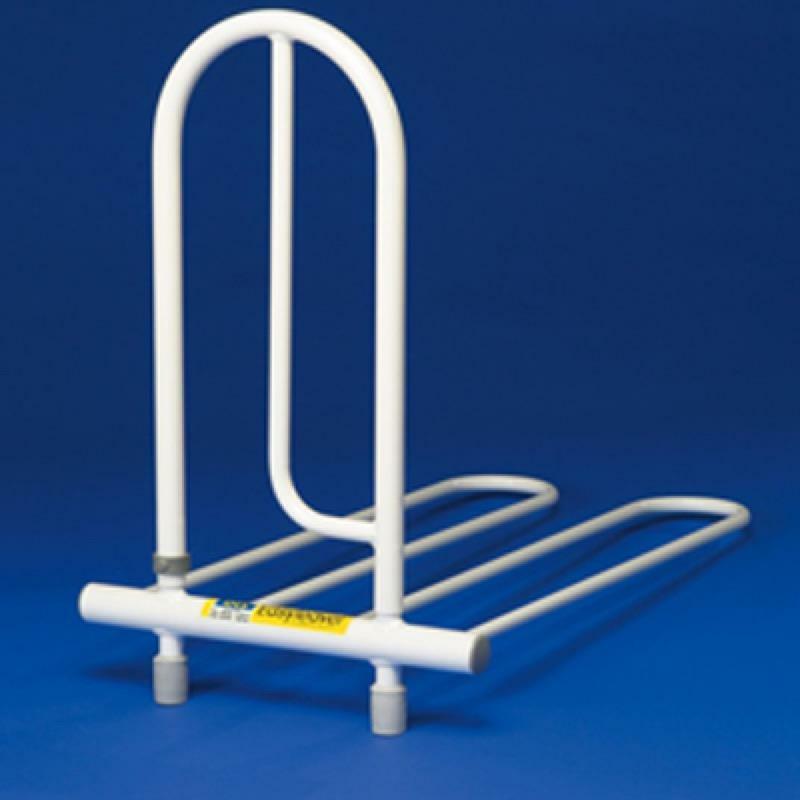 The Easyleaver Bed Grab Rail provides support when getting into and out of bed. It is designed for use on divan style beds and is suitable for use on single, double or kingsize. This all-metal grab rail is simple to assemble and dismantle without the need for any tools. It can be flattened for ease of storage and is a handy device to take with you on your holidays. Designed for use on divan style beds, suitable for single, double or king size.